Did you know that over 60-70% of cats in the United States are considered overweight to obese? As an emergency critical care veterinary specialist, I see a diabetic cat at least once a day in the ER. That’s because there is a growing prevalence of insulin resistance secondary to obesity. Even with treatment, diabetes mellitus can result in secondary complications (including diabetic ketoacidosis crisis, neuropathies, etc.). Plus, you have to give insulin shots twice a day! So, that’s why I’m going to encourage you to exercise your obese cat and help him lose some of that extra weight. The better shape your cat is in, the lower the risk of medical conditions like osteoarthritis, diabetes mellitus, urinary problems, heart disease, and more. First of all, how can you tell if your cat is overweight? You can check out this Body Condition Score (BCS) here. Ideally, most cats should weigh 10 pounds. That doesn’t sound like much difference when your cat is 12 pounds, but that may be 10-20% over his or her ideal body weight. Typically, you should be able to feel your cat’s ribs but not see them. So, how do you help your obese cat lose weight and exercise more? Talk to your veterinarian about a lower-calorie cat food, and consider cutting back on the amount of kibble by at least 25%. Make sure you are not feeding your adult cat kitten food. 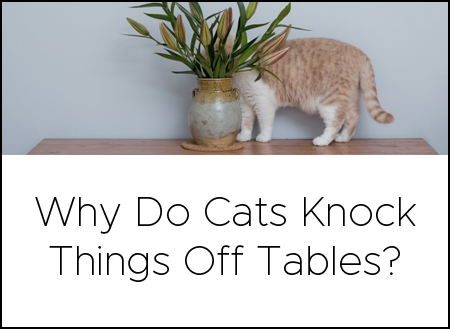 You can also consider using environmental enrichment feeding techniques or food puzzles so your cat has to slow down to eat and “play,” or work to earn his kibble. At the least, you can use something as simple as a clean muffin pan so your cat doesn’t gorge and eat all at once; instead, he is forced to “forage” for his food and eat more slowly. Environmental enrichment (i.e., how to prevent your cat from getting bored at home) is important. My cat loves using a sisal scratching post, feather on a string, or a laser pointer (human required). I also love cat window rests, so your cat can enjoy the great outdoors from the safety of inside. If you have a young active cat, consider getting one of these cool cat wheels; by training your cat (yes, with some catnip and treats), you can teach your cat to run on these. Yes, you heard me right. If you only have one, go ahead and rescue one more cat! Often times, cats love having a wrestling buddy to play with and chase. I love having two cats (provided they get along and are properly introduced, ideally at a younger age), as they seem to really enjoy the companionship of another cat. Plus, it’ll help keep them both entertained and exercised! Ultimately, your goal is to get your cat to be more physically active. One simple tip? Place the food and water on a different floor from your cat’s litter box. I have my Litter-Robot in the basement and feed my cat on the second floor, so she has to run up and down stairs several times a day. Get those steps in to help your cat be more active. Take the time every Sunday (or, ideally, once a night!) to set your smartphone timer for 5-10 minutes of dedicated cat exercise time. Use a laser pointer or even a feather on a wand toy to help get your cat exercised. While 5 minutes doesn’t sound like much time, even that can help. We love our cats. And while we often “love” them more by giving them snacks, consider the gift of a good 5-minute play time instead to help exercise your cat. His health will benefit in the end! Next Post Our Favorite Halloween Costumes for Cats!